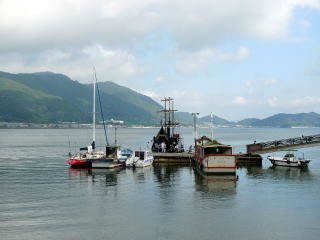 Tomonoura. 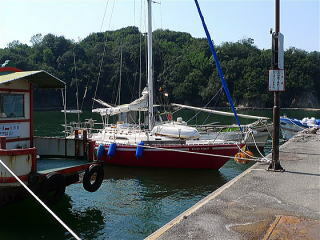 I moored my boat here; and then took a tour boat service for Tomonoura. 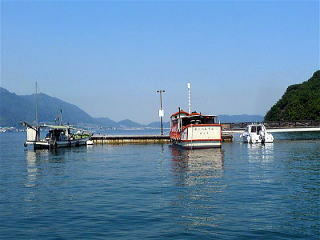 Every twenty minutes, the tour boat takes you there for ten minutes. 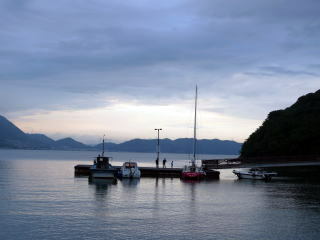 Sensuijima island is located in the north east of the Tomonoura harbor entrance. 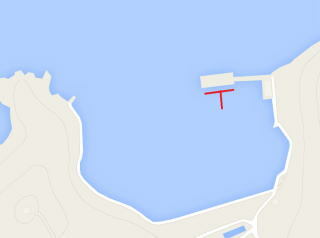 you may moor your boat at the south side of the pontoon which is used for the ferry boat. you will need to put your boat stern-to, not along-side. The water depth is enough. 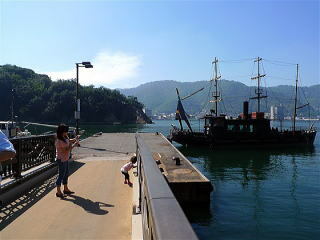 When you approach the pontoon from the north, you will see a pole which has two black balls. As it must be a mark of submerged rocks, be careful ! Public toilet is near the pontoon. A hotel called “Kokumin Shukusha” has a public bath service for JPY525.